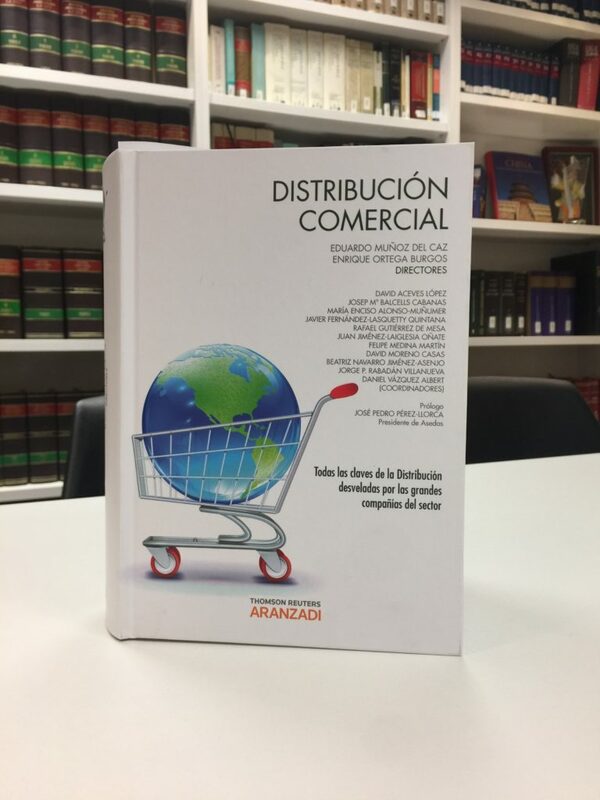 Yingke Spain – Adarve Corporación Jurídica law firm has participated in the writing of the book “Commercial Distribution”, edited by Thomson Reuters. It is one of the very few existing monographic works on the Retail industry, which represents 5% of the Spanish GDP and 10.3% of the country’s jobs. Figure above is the book “Commercial Distribution”. Retail industry in-house legal departments face many legal challenges in such an excessively regulated industry, such as tax, compliance, data protection, apart from all the pressing non-legal issues they must accompany their brands and companies with, such as the digitization process, the online and offline channels conjugation, internationalization and so on. In this quickly-changing atmosphere, it is fundamental for in-house legal departments to be able to rely on specialized professionals who will not only advise their companies, but also train them when required and update them as soon as there is any relevant legal development in their industry. This unique book to which Yingke Spain – Adarve Corporación Jurídica law firm has participated, presents through a complete range of topics, focuses, styles, data and opinions, all the keys to what is nowadays one of the most important industry of our modern economies. One just need to look around to see that commercial distribution is all around. It varies in shapes and specialties, but it is always aimed at driving consumers to the products they want, when they want, at the price they want. This outstanding publication is with no doubt the most ambitious choral work on retail ever written in Spanish language. 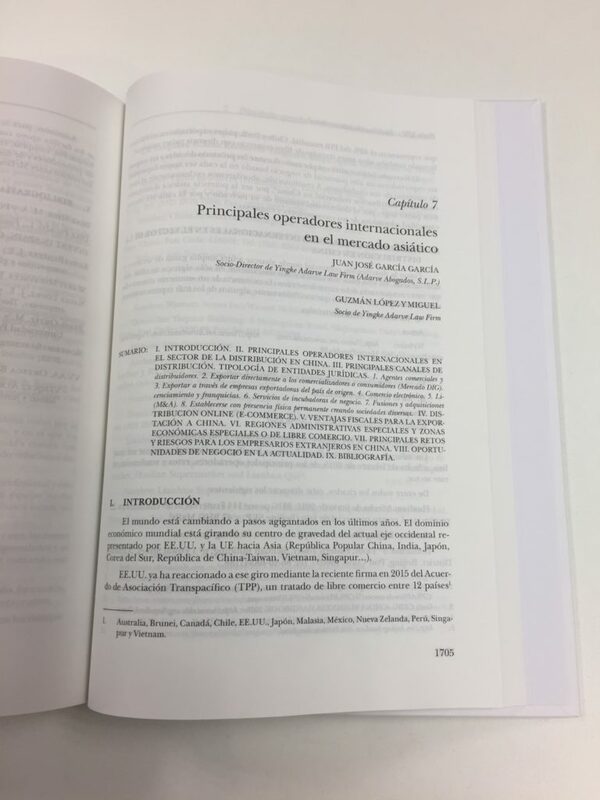 Mr. Guzman López, Partner of Adarve Corporación Jurídica law firm, has written the chapter on the main international operators in the Asian market, and more specifically in China. The country has surpassed years ago the United States to become the world’s largest destination for foreign investment, marking another milestone in China’s unprecedented growth and development. As the benefits of China’s extraordinary economic development expand, the rise of the Chinese consumer has become the latest opportunity for many domestic and multinational corporations. Foreign companies looking to sell their goods to Chinese businesses and the increasingly affluent Chinese consumer do so either directly or indirectly. The direct method requires a company to establish a presence in China and undertake the import or manufacture and subsequent distribution of its goods. The indirect method involves either selling the goods to a Chinese buyer that resells the goods in China, or appointing a commercial agent in China that introduces prospective buyers to the foreign company. As the market for selling into China becomes more saturated, companies are already shifting their strategies. Foreign companies are venturing further downstream and either participating in retail distribution and franchising, or engaging in direct selling to the Chinese market. The rise of e-commerce and internet sales also has had a significant impact on models and structures for distributing goods and services, and provides new opportunities for a variety of distribution models. Figure above is the screenshots concerning the article wrote by the Managing Partner of Adarve Corporación Jurídica law firm Mr. Juan Jose GARCIA, and Partner Mr. Guzman López. The author explains in the book who are the main international operators for retail in China, what are the main distribution channels, the existing legal entities, the different possibilities of developing retail business there, licensing, franchising, mergers and acquisitions processes, and he also details the huge e-commerce possibilities existing in the area. Yingke Spain – Adarve Corporación Jurídica law firm’s partner also warns of the risks and challenges for foreign entrepreneurs entering the Chinese market. 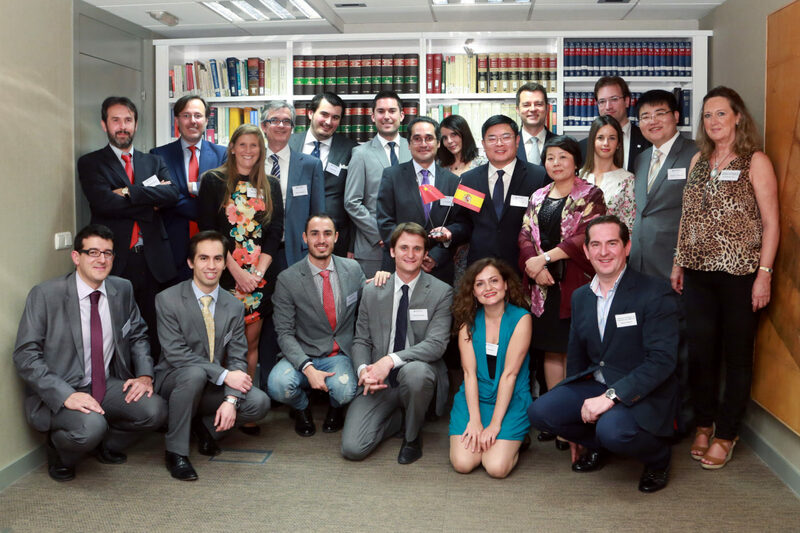 Adarve Corporación Jurídica law firm from Spain joined Yingke Global Legal Alliance on June 2014, and became the formal partner of Yingke with an exclusive relationship in Spain. Adarve Corporación Jurídica law firm is a multidisciplinary firm of lawyers and economists, specialized in Business Law in general, and in Litigation, Banking and Finance Law, Corporate and Commercial Law, Real Estate Law, IP & IT Law and Tax Law in particular. The clients vary from SME’s to big corporations, but also start-ups, foundations and individuals from different sectors such as Toyota Kredit Bank, Honda, Movistar Plus, Renault, Inditex (Zara), Banco Popular, Bankia, Amadeus, Dell Computers, FinConsum, Decathlon, Arval, Caixabank, Banesto, Abanca, Citibank. As a global legal service institution from China, Yingke led to establish China “Go Abroad” Alliance, Yingke Global Board of Directors and Global Advisory Board, Yingke Overseas China Center, and Yingke Global Legal Alliance as platforms to converge Yingke global resources, with the aim of giving full play to the role of Founder of the Global Think Tank of the United Nations South-South Cooperation, as well as providing customers “one-stop” comprehensive, high quality legal and commercial services. By the end of July 2017, Yingke has held 42 branch offices in the mainland China with a total of 5205 lawyers and professionals, which keeps on being regarded as the largest law firm in Asia-Pacific region. By far, Yingke Global Legal Alliance owns 24 member firms, and the global legal service system covers 89 cities in 42 countries. Yingke will continuously enhance its the global legal service capability, and strive to become the preferred partner of Chinese entrepreneurs who conduct overseas investment business. For further information of Yingke Spain – Adarve Corporación Jurídica law firm through the link of http://www.adarve.com/ . Figure above is the group photo in the opening ceremony of Yingke Spain- Adarve Corporación Jurídica law firm.